The National Committee to Preserve Social Security and Medicare is disappointed that President Trump’s proposal on drug pricing fell far short of the strong stance he took against the pharmaceutical industry’s price gouging as a candidate. In particular, the President’s proposal doesn’t allow the Medicare program to negotiate with drug manufacturers to lower the cost of drugs, something strongly supported by candidate Trump and the public. In addition, the President’s plan fails to propose four reforms: ending anticompetitive behaviors that keep generics off the market, reforming intellectual property laws to end frivolous patents, allowing the government to import drugs from other countries, and prohibiting drug companies from increasing prices significantly beyond the cost of inflation. Parts of the President’s plan have merit. But while these proposals may help insulate seniors who need drugs from excessive out-of-pocket costs, generally don’t address the underlying cost of drugs. Ultimately, seniors pay high drug costs one way or the other through higher premiums. Still, the National Committee supports efforts to mitigate costs for seniors purchasing drugs until more comprehensive solutions that bring down the actual cost of the drugs are put in place. 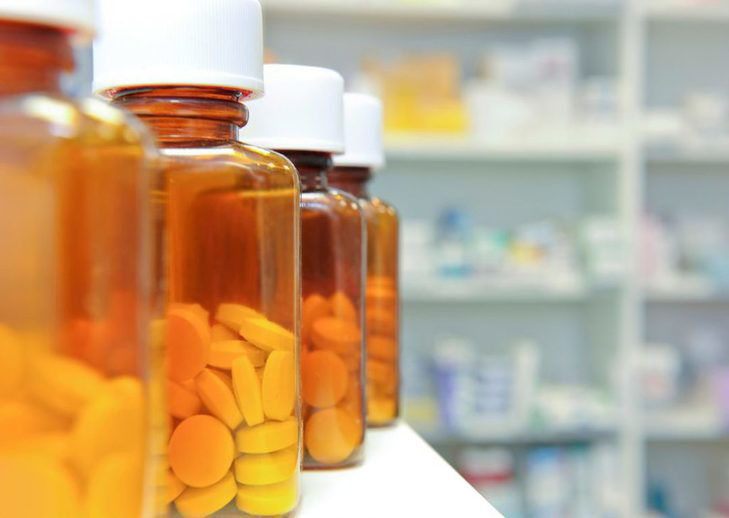 Studies show that there is a connection between high out-of-pocket costs and the ability of patients to follow their physician’s prescription drug treatment instructions. No senior should have to choose between paying their bills and paying for their medications. Out-of-pocket costs paid by Medicare Part D beneficiaries reflect list prices but do not include rebates that the insurer negotiates with the drug manufacturer. The Administration proposes to give a portion of the rebate back to the consumer when they fill their prescription. The lack of transparency around rebates given by drug manufacturers creates conditions where discounts by manufacturers often do not get passed along to the consumer or to the Medicare program. Further, rebates can create disincentives to get the overall best price for the consumer and the Medicare program. Drug manufacturers engage in secret deals with the Pharmacy Benefits Manager (PBM)—the middleman that is supposed to negotiates prices on behalf of Medicare plans. However, many times manufacturers pay steep discounts that go to the PBM for a drug that is overpriced. The PBM pockets the rebate and places the expensive drug on the formulary. The Medicare plan then passes the cost along to beneficiaries in the form of higher premiums. The individual who receives the drug may have to pay coinsurance on this expensive drug. While this provision would help alleviate high out-of-pocket costs for those paying coinsurance on high-cost drugs, it does not lower the cost of the drug. It might also eliminate the incentive for the patient to use a lower cost alternative that might be equally effective, such as a generic, and lead to higher overall program costs. In the absence of stronger policies that get at the underlying cost of the drug, this proposal should help insulate consumers from excessive cost sharing, especially those who need very expensive drugs. This proposal also forces the PBMs to pass along some of the rebates to consumers instead of pocketing them. The National Committee supports this proposal as an interim step but prefers policies that reduce the underlying cost of the drug. The Administration would eliminate cost-sharing for generics for low-income seniors to encourage use of generics over brand name drugs. This proposal will reduce out-of-pocket costs for vulnerable seniors and will encourage use of generics saving the program money. The National Committee strongly supports this proposal. Currently, health plans and Pharmacy Benefits Managers (PBMs) can insert gag clauses into their contracts with pharmacists prohibiting pharmacists from disclosing to consumers when it costs less to pay out-of-pocket for a drug than it would to use their insurance coverage. The President’s plan would prohibit Part D contracts that include these clauses. The National Committee supports prohibiting these outrageous contract arrangements between Medicare private plans, PBMs and pharmacies. This proposal helps seniors save money when they pick up their prescriptions. The Administration would reform Medicare Part B outpatient drug payments by limiting payments for price increases for drugs that are above the inflation rate and cut incentives for doctors to write high-price prescriptions. The National Committee supports the Administration’s proposal to inflation adjust payments for outpatient drugs. We would encourage the Administration to adopt the approach taken in H.R. 5150, the “Protecting Medicare from Excessive Price Increases Act,” which requires drug manufacturers to rebate to the Secretary of Health and Human Services the amount by which a drug exceeds an inflation-adjusted average of past sales prices. It also directs the Secretary to reduce an individual’s coinsurance to reflect the amount of the drug after the rebate is applied. New drugs don’t have a sales history, so Medicare pays for them based on the Wholesale Acquisition Cost (WAC) instead of the Average Sales Price (ASP) as other drugs are. This is a flawed method because WAC does not reflect rebates and thus leads to overpayment for drugs. The Administration proposes to reduce WAC-based payments for new Part B drugs from 106 percent to 103 percent of WAC. The Medicare Payment Advisory Commission proposed a reduction in WAC based payments. The National Committee supports the Administration’s proposal to reduce overpayment to manufacturers for new drugs prescribed under Part B. The Administration proposes to use trade policy to curb “freeloading” by foreign countries. While the president claims that increasing drug prices in foreign countries will contain or lower drug prices in the U.S., there is no evidence that drug companies would lower their profits in response. In fact, since Pharma-friendly provisions first started making their way into trade agreements in the 1990s requiring expansive intellectual property rights for drug makers, prices have only climbed. The Administration’s proposal is vague, but below are some of the proposals the Trump Administration is pursuing through trade policy. The Trump Administration is in the process of renegotiating the North American Free Trade Agreement (NAFTA) between Mexico, Canada and the US and is expected to push for 12 years of “exclusivity” protection for biologics, much longer monopoly periods than either Canada or Mexico provide. Exclusivity is a form of monopoly protection granted by the Food and Drug Administration that confers exclusive rights to market a drug after the drug is approved. The National Committee opposes using trade policy to extend patent monopolies for biologics. Lengthy monopolies drive up the cost of drugs. Even though the 12-year exclusivity sought by the Trump Administration is already U.S. law, trade agreements bind the U.S. to these proposals making it very difficult to reduce monopolies in the future. The National Committee supports reducing the current excessive 12-year monopoly period for biologics to seven years. As long as a brand-name drug patent is protected, a generic version cannot be sold. The Trump Administration is pursuing policies that would require that patents available for new uses of existing drugs through trade agreement. This type of patent has enabled drug companies to extend patent monopolies for old drugs years past the original patent, a tactic known as “evergreening.” The patent holder is the only one allowed to sell a drug and can therefore demand a monopoly price for it. Overly lengthy patents therefore drive up the cost of prescription drugs. This type of trade policy forces our broken system on other countries and binds the U.S. to these policies making it harder to change our pharma-friendly patent system in the U.S. in the future. The National Committee opposes provisions that would bind the U.S. to “evergreening” policies that make it difficult to enact the type of patent reform needed to drive down pharmaceutical prices. Requiring countries to adopt so-called pricing and coverage transparency provisions for their national health care systems that require justification of their pricing and reimbursement decisions. These provisions could provide ammunition for drug companies to sue governments in international tribunals. The National Committee opposes provisions that would bind the U.S. and other countries to processes that allow the drug companies to challenge pricing decisions made by publicly funded health insurance programs.